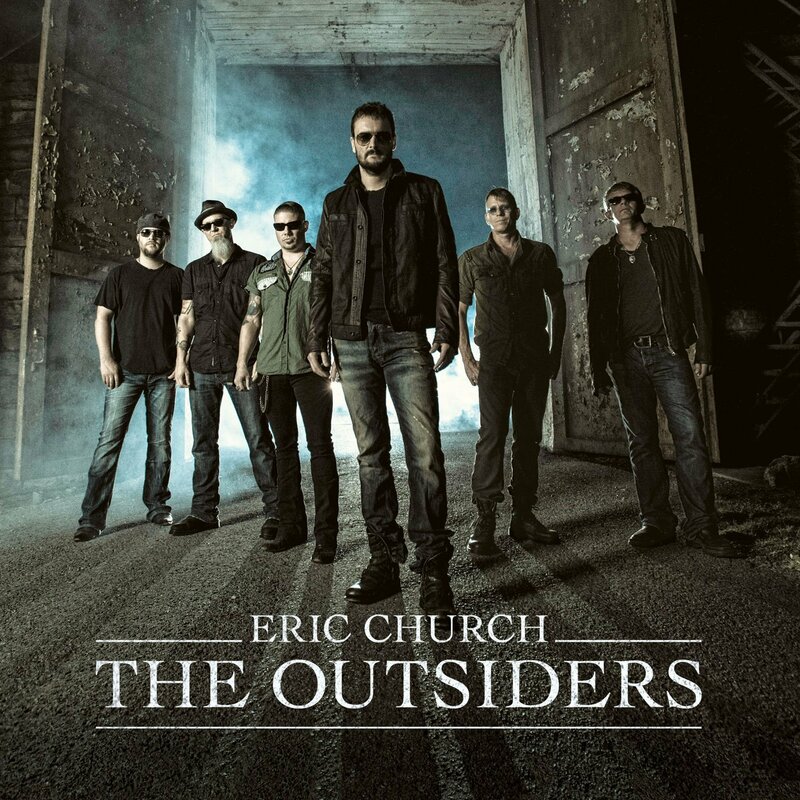 The most telling moment on Eric Church’s grand new studio album The Outsiders comes from an unlikely source. The penultimate track “Devil, Devil (Prelude: Princess of Darkness)” begins with an offbeat, meandering four minute spoken-word mythic Nashville-bashing diatribe from Church. The most experimental track on the album, the contemptuous “Devil monologue ” marks Church as an daring outsider looking in: the track’s very existence is evidence alone for a remarkable, central tenet of the Eric Church mythos in 2014: the singer can literally do whatever he wants. But only a true insider can make an album like The Outsiders. The title of Church’s NPR-streaming, genre-hopping record may be referring to the North Carolina singer’s expectedly far-reaching audience as much his own renegade, fringe Nashville status. Church’s latest collection, littered with guitar solos, heavy metal riffs, and an unseasonably rhythmic approach to Music City hit-making, could, and should, indeed appeal to a mainstream audience outside the traditional country music demographic. Church, who plays the role of bitter rebel or sensitive every-day man with equal conviction, is a convincing sell as a next-generation heartland rocker. “Give Me Back My Hometown,” one of the biggest surefire hits on the record, finds Church tackling Springsteen head on. The song, which re-purposes the second person of the Boss’ chorus from “My Hometown” to the personal (“this is my hometown”) finds Church triumphantly waxing melancholy about hope and trust behind arena rock stomping drum bombast. Church is savvy enough to know that “Hometown” transcends the the dirt road rural fantasy so many country singles need to lean on; instead, the only detail Church will divulge about his own lost Anywhere, U.S.A. hometown is that the Pizza Hut holds some sentimental value. The suburbs and strip malls sure do deserve songs, too. Apart from one or two fleeting missteps, The Outsiders is a beautiful, quintessentially inclusive pop record dressed up as insurgent anti-pop. The tremendous genre-colliding album tracks (“Cold One,” “Roller Coaster Ride) and the infectious future chart-toppers (“Talladega,” “Give Me Back My Hometown”) forcefully outweigh a few moments of above-average filler (“Broken Record,” “That’s Damn Rock and Roll). Tracks such as “Like A Wrecking Ball,” a lustful soul ballad that shows up, unannounced, halfway through the record, prove repeatedly that Church is as much of a Jack of All Traders genre-hopper as he is a narrowly defined Country Music Rebel. Church gets to have it both ways on The Outsiders, writing several irresistible hits while boasting repeatedly to the press about the ten some-odd surefire number one singles he decided, alongside producer Jay Joyce, to not include on the album. The bold, daring choices that comprise his fourth studio LP make the few stagnant appeals to the country bourgeois truly stick out. The needlessly violent, race-baiting third verse of “Dark Side” comes across as a pandering, hollow attempt to reinforce an outlaw image that doesn’t need reinforcing. The Outsiders is at its best when it lets the songs market themselves.